Health Care Without Harm Asia’s mission is to transform healthcare in the region as a green and resilient sector so as to protect public health from climate change, one that leverages health care leadership and purchasing power so as to drive policies and markets towards sustainability. The 5th Green Hospitals Asian Conference plays an instrumental role in bringing such a mission to reality. The main objective of the conference is to set the 5-year roadmap that will pave the way for Asian healthcare as major stakeholder engaged in climate actions and policies in-country and in the region. 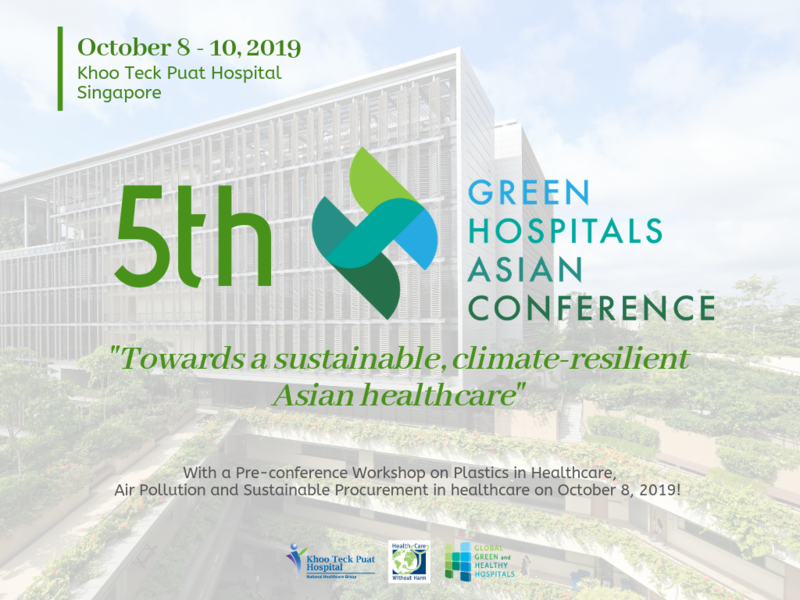 Such will feature the following key elements: climate adaptation and resilience, mitigation and leadership within the Asian healthcare realities. Do not miss this year's biggest gathering of Healthcare and Climate Leaders! Below are links for your perusal.